One of the best there ever was! �You must all cherish Old Glory; And its teachings pass along. Andrew's Scanned Handwritten Letters 1 through 7.
Letters #1 - #7: In response to President Abraham Lincoln's call for volunteers, Andrew Jackson Nickell enlisted in the 114th Regiment, Company E of the Ohio Volunteer Infantry on August 22, 1862. The 114th O.V.I., Company E, was mustered into service at Circleville, Ohio on September 8, 1862. The Regiment was ordered to Camp Marietta, OH, on September 19, 1863. 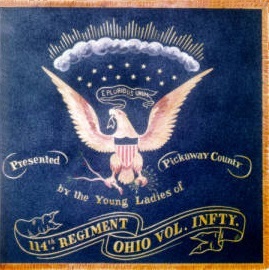 In addition to Pickaway County, the 114th also included men from Perry, Fairfield, Fayette, Hocking, and Vinton Counties. It comes as no surprise that in his letter of September 28, he refers to the 114th as "one of the best that ever was...". The new 114th O.V.I. was then ordered to Camp Marietta, Ohio for basic military instruction. From Circleville, the 114th O.V.I. hiked southward along the Scioto River to Kinnickinnick, then took the eastbound rail cars to Marietta. In his two and a half months at Marietta, Andrew began writing regular letters to his wife Isabella "Bell" and his family back in Pickaway County, Ohio. His letters always expressed concern for their welfare. 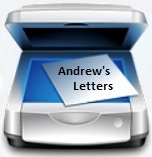 It was during this time that Andrew began using the closing, "To His Beloved Wife and Children". In his letters from Marietta, Andrew tells Bell that he is attending church services, and that he received leave to visit family and friends in nearby Vinton County, Ohio (where he and Bell had grown up). Andrew communicates the excitement caused by Confederate canon fire across the Ohio River at Parkersburg, (West) Virginia. Andrew also expresses a strong sense of pride in his Regiment, and speculates on where the 114th O.V.I. might be sent. 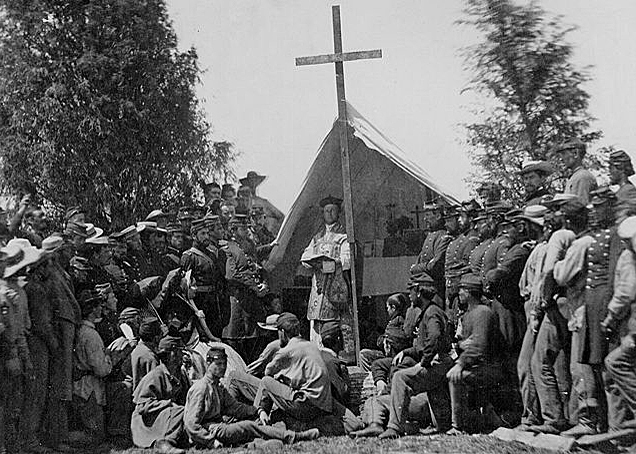 But the future of the 114th and other regiments at Camp Marietta had already been determined. President Lincoln, his advisors and generals believed that "Vicksburg is the Key" to dividing the Confederacy, and to gaining control of the southern Mississippi River. Andrew and thousands of other soldiers, north and south, would soon be committed to the Vicksburg Campaign. how to direct your letters to Camp Marietta, Ohio in care of Capt. I. M. Abraham, Co E 114 Regiment O.V.I. Direct it in this way and it will follow me where ever I go. This is bad spelt ant and Badriten.